The Westin Los Angeles Airport, just four blocks from Los Angeles International Airport, offers easy access to major corporations, marvelous shopping, sunny beaches and fine restaurants. The stylish décor suits business and leisure travelers. The Westin Los Angeles Airport features 740 well-appointed guest rooms with all the accessories needed for life on the road. 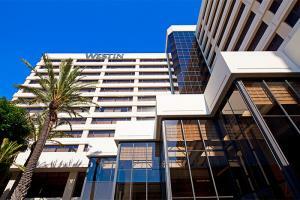 Located on West Century Boulevard, just four blocks from the Los Angeles International Airport.